Hungary is a veritable treasure trove of discoveries, from an iconic capital city, to architecture ranging from Roman ruins to baroque castles and art nouveau coffee houses, tree-lined country lanes, the mighty Danube, and beyond. Hungary is a country of beautiful contradictions, where ornate Hapsburg grandeur exists alongside stark communist-era practicality and Central European and Asian influences fuse seamlessly in everything from the country’s famed folk art to its exquisite cuisine. There’s no better way to experience this fascinating nation than on one of VBT’s bike tours in Hungary. Nestled on the shores of the imposing Danube, Budapest is an adventurous traveler’s dream. The river splits the city into two halves, connected by the historic Chain Bridge, an architectural marvel that opened in 1849. Hilly and historic Buda features everything from Baroque castles to imperial-era boulevards and bubbling Turkish baths, and travelers can find more modern offerings like hip coffee houses and warehouse bars on the flatter Pest side. Venture outside the city limits and you’ll be treated to what is arguably the single most beautiful stretch of the Danube. North of the city, quiet lanes climb forested hills toward imposing castles and riverside bikeways follow the river in a ribbon of easy routes, providing the perfect vantage point to take in the scenic landscape. Beyond Danube shores, Hungarian legacies grand and small dot the rustic landscape. In Sopron, Roman, medieval, and baroque beauty is on display. An extravagant array of elegance and grandeur greets you at Esterházy Palace, “Hungary’s Versailles.” In Esztergom, once Hungary’s glorious capital, the nation’s largest basilica still dazzles 170 years after its dedication. Walk across the Chain Bridge that connects the Buda and Pest sides of the city. Explore Margaret Island, one of the finest green parks in Europe. Stroll its tree-lined pathways and beautiful rose and Japanese gardens. Take in the view of the Danube from Castle Hill while exploring medieval monuments. Discover Hortobágy National Park, a World Heritage site rich with folklore and cultural history. 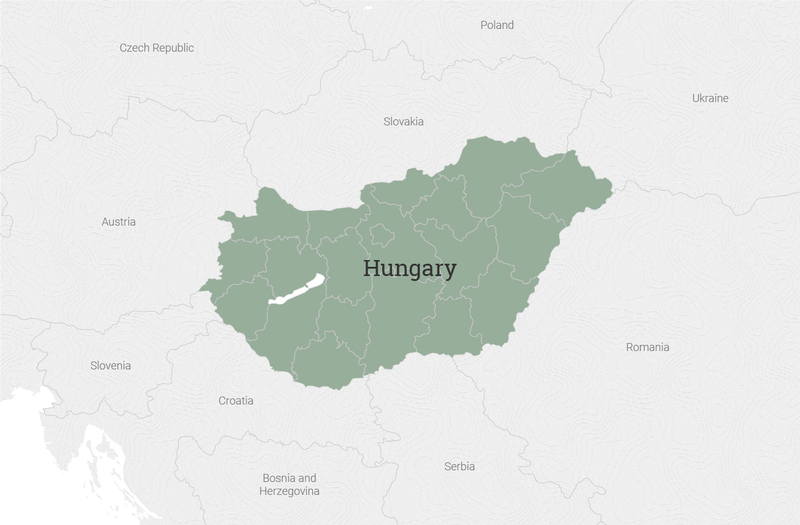 Hungary has more medicinal spas than any other European country. “Taking the waters” is a popular way to relax and even to treat minor medical concerns. Do as the locals do and sit back in one of the country’s more than 300 thermal springs to rejuvenate your body and soul. From cave baths to thermal lakes and stunning traditional Turkish baths, there are plenty of beautiful settings to choose from. Hungarian food stands out as arguably the best in Eastern Europe. Locals believe there are three essential cooking styles: French, Chinese, and Hungarian. They may have a point; visitors are often pleasantly surprised to find that local dishes are wholesome, rustic, and incredibly flavorful. From rich stews to elegant pastries, your tastebuds will never be bored here. Whether you’re strolling through a craft market, taking in a traditional music performance, or exploring an art gallery, Hungarian folk art is all around you. The country has a rich folk tradition that stretches from music to textiles, pottery, and beyond. Attend a folk festival or a pottery painting demonstration, enjoy a live dance show, or browse for authentic crafts to bring home as gifts. I truly think that biking through all these destinations gives you the best insight into people's lives. Through cultural interactions we all can change and improve. A native of Hungary, Mátyás has been a VBT leader for almost a decade. He has traveled extensively throughout Central Europe and is proud to introduce travelers to the local culture of his home region.